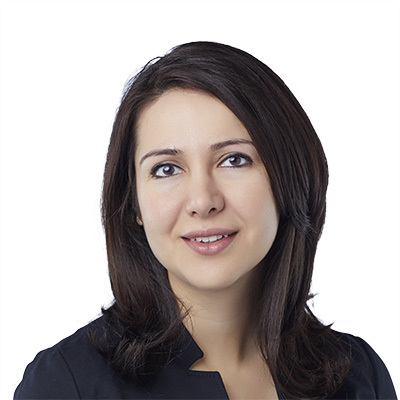 Samaneh Frounchi is an associate in Gowling WLG's Ottawa office, where she practises in the area of civil litigation with a focus on commercial litigation and professional liability. In addition to representing business entities and insurance companies on complex matters, Samaneh also has experience working with various professional associations and representing professionals such as lawyers, paralegals, accountants, as well as various health care providers. Samaneh has appeared before the Superior Court of Justice, the Ontario Court of Justice and other tribunals in Ontario. Samaneh obtained a JD from the University of Ottawa. While in law school, she also pursued a master's degree from the Norman Paterson School of International Affairs (NPSIA). During her studies, Samaneh participated in competitive moots, including the International Chamber of Commerce Mediation Competition in Paris. She was also involved in numerous extracurricular activities and was a proud volunteer student with the Community Legal Services of Ottawa.